Location, location, and location! 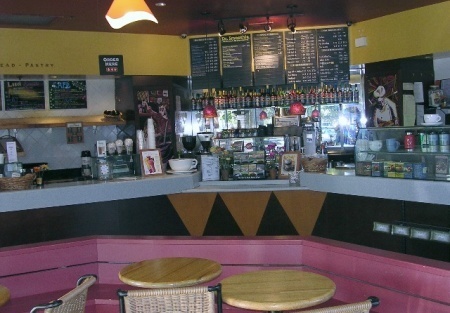 This coffee house is a turn key business located in a price shopping area just off I-80 in Solano County. It has approximated 1,750 sq/ft plus about 80 sq/ft of outside patio. The lease expires on 3-14-2010 and has a five year option. Base rent payment is $4,784 per month plus CAM with plenty of parking. This corner location is perfect for conversion to Japanese restaurant. Don�t delay! Call for appointment or submit your offer for this lower price location. Seller is planning to relocate back to Sacramento and motivated to sells NOW!!! This is a furniture, fixture, equipment and leasehold improvement sale no financial statements will be provided. Take the next step and completes the online confidentiality agreement and you�ll be provided with the restaurant name and address. Also you will given priority notification to new listings in the future, prior to the general public, giving you the best chance to �scoop in� the best opportunities. There are also more photos available to our registered buyers.This is a Paramount Restaurant Brokers, Inc. DBA SellingRestaurants.com listing. Mon to Fri 6am to 8pm, Sat 630am to 8pm, Sun 7am to 8pm. Serves Espresso, Sandwich, Pastries and Smoothies. Baking Hood System is in Place. Clsoe to Highway On and Off Ramp. Base Rent $4784 Per Month for 1750 sq/ft Plus Patio. Lease Terms end of 3-14-2010 and 5 Years Renewal Option. Prefect for Owner or Family Operate Business. Not Many Japanese Restaurant in the Area. Seller is Planning to Relocate.